Belden’s business is structured in four product platforms: industrial connectivity, industrial IT, enterprise connectivity and broadcast. Belden’s connectivity business includes a wide range of copper, fiber and coaxial cable solutions and fiber and copper connectors for the enterprise, broadcast and industrial markets. 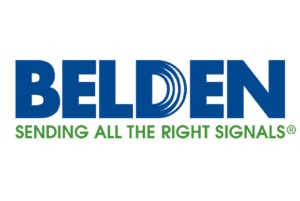 Belden’s networking business is made up of intelligent wired and wireless products that include Industrial Ethernet switches and related equipment, fiber optic interfaces and media converters used to bridge fieldbus networks over long distances as well as load-moment indicators for mobile cranes and other load-bearing equipment.